The Logitech Crayon costs 40 percent more than the education version. The most interesting announcement at Apple’s Chicago education event this past spring wasn’t that the new iPad was picking up support for the Apple Pencil. It was that Apple had teamed up with Logitech to offer a cheaper version of its super-powered stylus for half the price. And soon you’ll be able to buy one. Originally only available to students and teachers, the the Logitech Crayon Digital Pencil (seriously, that’s the name) is available for purchase today for the inflated price of $69Remove non-product link (40 percent higher than it charges for education customers), but won’t begin shipping until September 12. If that date sounds familiar, it’s because it just so happens to be the same date as the annual iPhone event. The Logitech Crayon has a vastly different design than Apple’s sleek white stylus, with an aluminum-and-rubber chassis that’s flatter and shorter than Apple Pencil. The Crayon is a powered stylus but not a Bluetooth one, so you won’t get the lauded pressure sensitivity found on the Apple Pencil. The Crayon does include palm rejection and tilt sensitivity, however, as well as an on/off button for preserving battery life and a series of LED indicators so you know when to plug it in. Which will be more often than the Apple Pencil. 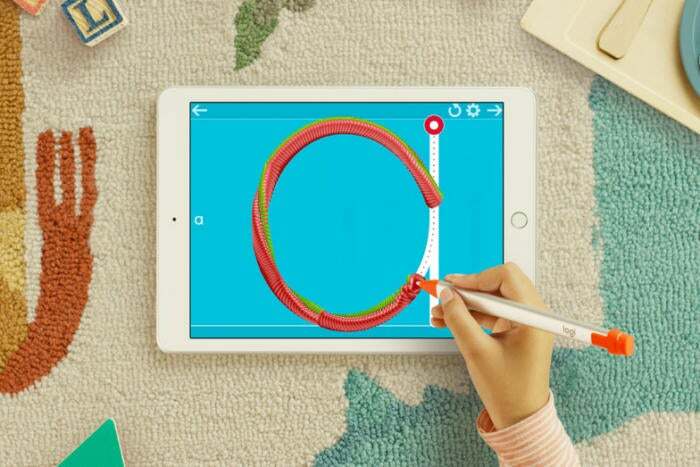 The Crayon promises up to seven hours of active writing time, as opposed to 12 hours with the Apple Pencil. Charging is done via a Lightning port rather than a connector, so you’ll need to plug a cable into the stylus to charge it. And it will take a little longer to get juiced up. Apple delivers 30 minutes of use after just 15 seconds of charging while the Crayon needs 90 seconds for the same fill-up. Why this matters: While it’s nice that there will be an alternative to Apple Pencil on the market, the $30 savings here is offset by the loss of a huge feature: pressure sensitivity. That means artists are losing out on Apple’s “pixel‑perfect precision,” making it more of a writing tool than a drawing one. And without native handwriting recognition in the iPad, it’s probably won’t be all that effective for taking notes either. This story, "Logitech is selling its Apple Pencil alternative to everyone, but it comes at a price" was originally published by Macworld.